The big-box discounter is in need of a bricks-and-mortar makeover, analysts said. 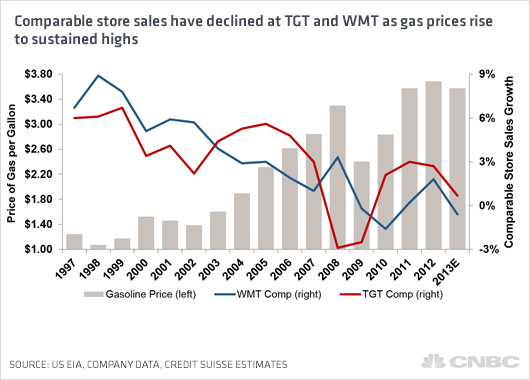 To resonate with today’s shopper, Wal-Mart needs to move its stores closer to major population centers, shrink the square footage of its superstores and shutter about 100 underperforming U.S. locations, they suggest. I wonder if planners, engineers and economic development advocates will embrace public support of downtown, boutique Wal-Marts and the systems they need to thrive the way they did the big box model. Elsewhere on the Network today: Greater Greater Washington explains why residents of Loudoun County, Virginia, don’t want their roads to be paved. Architect’s Newspaper carries the recommendations of a transportation expert on rising to meet the challenge of Houston’s rapid growth. And Rebuilding Place in the Urban Space lays out what could be a snow clearance agenda for advocates of safe, accessible city sidewalks in cities. Walmart is the world’s largest company and the world’s third-largest employer by number of employees . They will find a way to overcomes these issues. What’s Killing the Enclosed Mall?